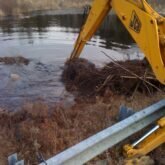 See an easy and inexpensive way to protect road culverts from beaver dam blockages that also allows fish and wildlife passage. To a beaver, a culvert pipe through a roadbed looks like a hole in a dam. 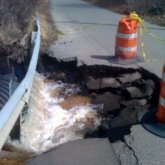 So beavers damming road culverts is the most common human-beaver flooding conflict we see. 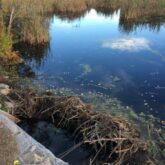 Fortunately though, most road culverts can be protected from beaver damming without the need to kill the beavers. 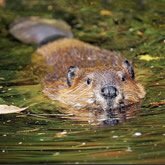 Most people only become aware of beavers when they are a nuisance, but did you know that biologists classify beavers as a Keystone species? Why was the Beaver Institute started? 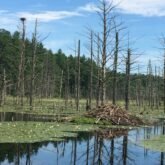 Over the last 20 years as scientists have learned more about the many valuable environmental benefits of beavers, interest in them has risen dramatically across North America and overseas.